The entry-level smartphone market in India is catching up. With smartphones like the Redmi 4 and Redmi 4A people are getting more value for their money in an entry-level handset. 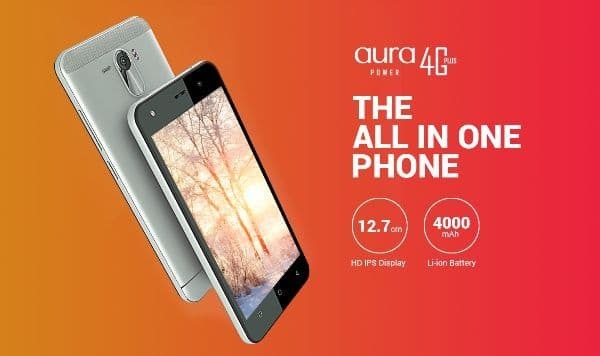 Karbonn Mobiles is joining this race with its new smartphone, the Aura Power 4G Plus. The Karbonn Aura Power 4G has been priced at Rs. 5790 which makes it cheaper than Xiaomi’s online-only offerings. The Karbonn Aura Power 4G Plus will be available in brick and mortar shops and online retailers too. The Karbonn Aura Power 4G Plus excels in the competition with its Android Nougat operating system and 4000mAh battery that can last easily for two days with average use. Karbonn themselves say that the battery offers standby time of 350 hours and talk time of up to 10 hours after a 3.5 hours charge. Just like most smartphones in this price range the Karbonn Aura Power 4G Plus has a 5inch display with an HD (1280 x 720 pixels) resolution. Underneath the hood the Karbonn Aura Power 4G Plus is equipped with a 1.25GHz quad core processor and 1GB of RAM to handle Android Nougat operating system. The Karbonn Aura Power 4G Plus has an internal storage of 16GB and the obligatory option of expanding the storage to up to 32GB with the help of microSD cards. The Karbonn Aura Power 4G Plus is a 4G LTE capable smartphone. The Karbonn Aura Power 4G Plus is equipped with a 5MP auto focus camera on the rear with LED flash. On the front it has the same 5MP sensor for selfies. The Karbonn Aura Power 4G Plus which is available in Grey and Champagne colour variants comes with Wi-Fi, microUSB and Bluetooth connectivity.